Gah! Whether you love her hate her, or just plain wish you were her, there's no denying the fact that Sophie Hunter has been bringing some major style game to the table. But nothing beats this fashion moment: Valentino unveiled Sophie Hunter's wedding dress via Instagram and it's capital-C Couture. Hunter has already managed to blow me away style-wise several times during her brief moment in the spotlight. There was that time she topped the best dressed lists in her daring Oscars dress, there was her truly stunning red carpet debut, and there was the gorgeously understated Erdem she wore to the Golden Globes... but her latest triumph tops them all. Benedict and Sophie tied the knot just last month and now we finally, finally have photos of the dress... shot by Annie Leibowitz no less. The dress is every bit as spectacular as you'd imagine: it's described as a "high-waisted medieval gown," and is perfect in pretty much every way possible — it's hard to believe that the dress was created in only three months (usually, Valentino takes six months to design and create couture wedding gowns). The dress itself is the most gorgeous shade of dove gray, and according to Hello Magazine, its delicate embroidery features "motifs of vines and pomegranates." It's just... it's just... it's almost too pretty for words. That ethereal high neck! Those sleeves! That vintage silhouette! That train! 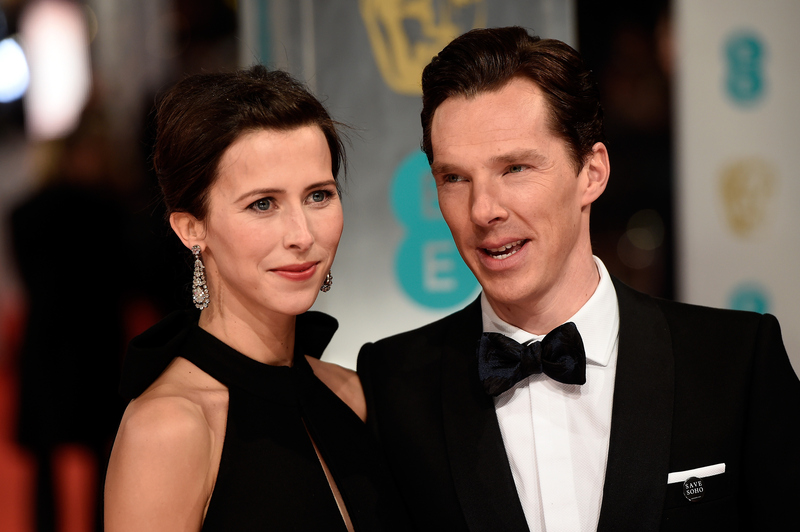 Most people envy Sophie for Benedict, but forget him — I want that dress.